Calories: A Total Myth And Unproven Theory! Calories, the lies, and the fabrications that go on, and on... So, how did this myth get started? Well, listen and you might understand how and why, maybe I can explain or maybe I can't, you decide! Learn more. Why is it that lies and fabrications are more appreciated than the truth? I will tell you why, because lies just happen to make an enormous amount of money for the people that promote and sell things. 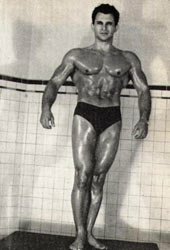 Point in hand, Vince Gironda 60 years ago told the truth about exercise, nutrition, and eating habits. Only 15% of the people, whom I call the intellects, believed him and 85% of the people whom I call Homer Simpsons said no, no, no, especially, the money making entrepreneurs. This is the exact case of calories, the lies, and the fabrications that go on, and on, as the mythical measure of foods in gaining and losing body fat. Before I totally bust the calorie theory, I want to tell you a story. Years ago, I took some meats, eggs, vegetables, fruits, breads and I sliced, cut, diced, opened, peeled, crushed and inspected every morsel of these foods and you know what? I couldn't find any calories! Why, because there aren't any! What did I find? 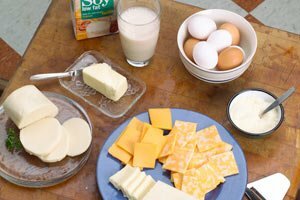 I found the three major components of foods, which are proteins, fats, and carbohydrates. 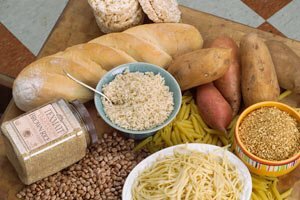 Are Proteins, Fats, & Carbohydrates. Now, Hippocrates referred to them as different things than we do today but proteins, fats and carbohydrates have been in foods since the beginning of time and it was first called Mothers Milk! End of story. As someone called Mother Nature or God or the Innate spirit, whom ever you prefer to profess to believe, never heard of calories. They are a fabricated theory via mans' imagination. Personally speaking, the calorie theory is the most absurd and dumbest thing that I've ever heard. So, how did this myth get started? Well, listen and you might understand how and why, maybe I can explain or maybe I can't, you decide! As you read this article, I want you to remember that man lies for two reasons. He either lies for personal gain or to make money. In this case, it could very well be just plain ol' ignorance. Think of it this way; the medical profession has never embraced natural food or nutrition in any manner and continue to treat the symptoms and not the cause of disease! As Hippocrates said, food is medicine, medicine is food to treat and cure diseases of any kind. Again, Hippocrates plainly stated this in his 10 Rules. 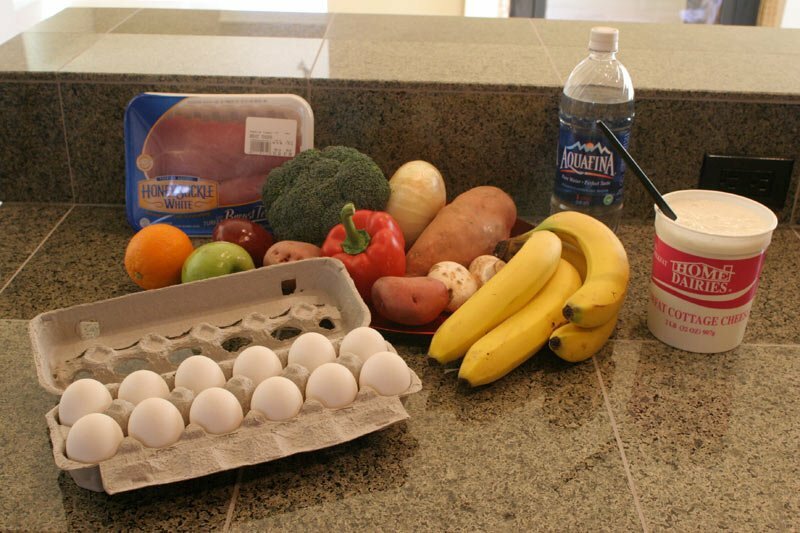 But no, nutrition is far too simple, far too inexpensive, and far too effective (Refer to Kevin Trudeau's book in which he exposes the powers that are in control as nothing short of corrupt, dishonest and a true conspiracy). It should make your blood boil at the contempt they have for us, and then they add calories to this mix to further insult our intelligence. The entrepreneurs and the drug manufacturers use fabricated false dietary data to create a synthetic miracle elixir for your well-being, but the miracle is going to cost you lots of money! Do you see what I mean?! When man ate proteins, fats, and vegetables, he was primarily slim and muscular. However, when he started to ingest massive amounts of carbs and destroy his body with excessive sugar, this affected his thyroid and his endocrine glands. He ultimately became sick and obese. Nonetheless, this was ignored. Medical science again said that we're going to find the secret to weight gain and weight loss. To a large degree, calories have their roots in the British thermal unit and it talks about heat; as in nature, everything generates heat. The British thermal unit or B.T.U.—is defined as the amount of heat needed to raise 1 gram of water 1 degree Centigrade. Ingesting Massive Amounts Of Carbs. Since there was not many nutritionally educated people around at that time, they named it a calorie and said that if you ingest too many calories then you will gain weight and if you restrict your calories then you will lose weight. Well, that sounded very logical and very simple. They didn't care what food it was, so they merely applied the word calorie to all foods and the heat that these foods generate. Not making any difference if it was sugar, white flour, rice, meat, eggs, vegetables, cheese, etc. All food now contained calories and if you put so many calories in and took so many calories out, then you are going to lose weight and gain weight. In addition, of course, I will explain the calorie theory a little bit more when I talk about exercise and how many heat calories exercise burns, so they said if you exercise, you are going to lose weight, but that's coming a little later. Moreover, again this is all a theory and has never been proven to be true, but so what, who cares; its very, very primitive. And of course, this is the state of our medical profession to this day. They are extremely misinformed people in how they know nothing about food; how they make people sick with their weight loss drugs and on, and on! But again, the calorie proponents ignore completely the endocrine system. They completely ignored the adrenals, they completely ignored the pituitary, and they completely ignored the hypothalamus; and especially the thyroid. Of course, we know now that these are the things that really control weight loss and weight gain, as long as your diet is not high in processed and refined carbohydrates. Vince said this 60 years ago and Kevin Trudeau is restating it today! In his weight loss book he explains that there was a Dr. Semonion (MD) in the early 1950's that pioneered weight loss therapy using the principles Vince and I talk about concerning the endocrine glands as the true initial essence of weight loss. Needless to say, as Trudeau explains, his methods were suppressed, then as now. And of course, while the battling and fighting was going on at the turn of the 19th century, fats and proteins were now being demonized as evil things and vegetables, fruits and grains were now being categorized as healthy and good for you. But, the calorie myth will continue to flourish as I have always said, "to keep the money rolling in". Remember, if a corporation or business can convince the masses, which is 85% of the people in America that something is a standard and the only game in town then people will continue to spend big bucks, even if it's a lie. Our mass marketing brain washing machine, Madison Avenue, the T.V., radio, magazines, and newspapers perpetrate all this on us. As I mentioned before of how these corporations control the way we think and of course if they can control the way we think, then the game is over and they have won. They are the winners and we are the losers. Newspapers don't give the other side of the story; just whatever drug companies and the medical profession say, then this is the Bible. Only a grass roots people movement will help the elimination of myths, lies, and theories. However, we must be able to hear the opposite view—Vince and Trudeau. Do you find it odd that Trudeau's book is not on T.V. or in the newspapers? Do you ask why? You should, as the media carefully tells us only what they want us to know. It has to start with us, with people thinking and then telling someone else and they tell someone else and so forth. When the Atkins Diet came into vogue, people were realizing that if they ate fats and proteins then they were going to lose weight. They also came to the realization that if they ate carbohydrates then they were going to gain weight. I think it was two or three weeks ago, sometime in March 2007, it was on T.V. and all over the newspapers that out of all the diets tested, the Atkins Diet was the best for weight loss. Well, the Eskimos knew that, the Rocky Mountain Men knew that, the American Plains Indians knew that and the Masai in Africa knew that and so did the Balari in South America. But why ask them? They are merely simple uneducated primitive people, with no college degree, so what do they know? Economics, not our health, dictate our eating habits. However, for the time being, calories will continue to be promoted in the mass media forever and ever. After all, everyone knows that calories are the standard for judging weight loss and weight gain. Moreover, as I mentioned once before, in 1895 everyone knew that man could not fly and of course today everybody knows that eggs cause heart attacks and in medieval times, everyone knew that the world was flat. The fact is that out dated myths die ever slowly. If you look around, you will see that calories are the standard and nobody wants to talk about anything else. Fast food ads on T.V., women's and men's publications, grocery stores, food labeling, gyms, health shops, all exercise regimens, food charts, doctors food charts, insurance company charts, exercise equipment and it just goes infinitely on! In fact, there is a funny ad that I saw on T.V. ; they had this personal trainer talking about Idaho potatoes—telling you how good Idaho potatoes were and how you get energy from Idaho potatoes. And she was saying that this potato only had 100 calories, bust she conveniently forgot to say that potatoes, like beans, rice, grains, soybeans, oats and barley are all starches. 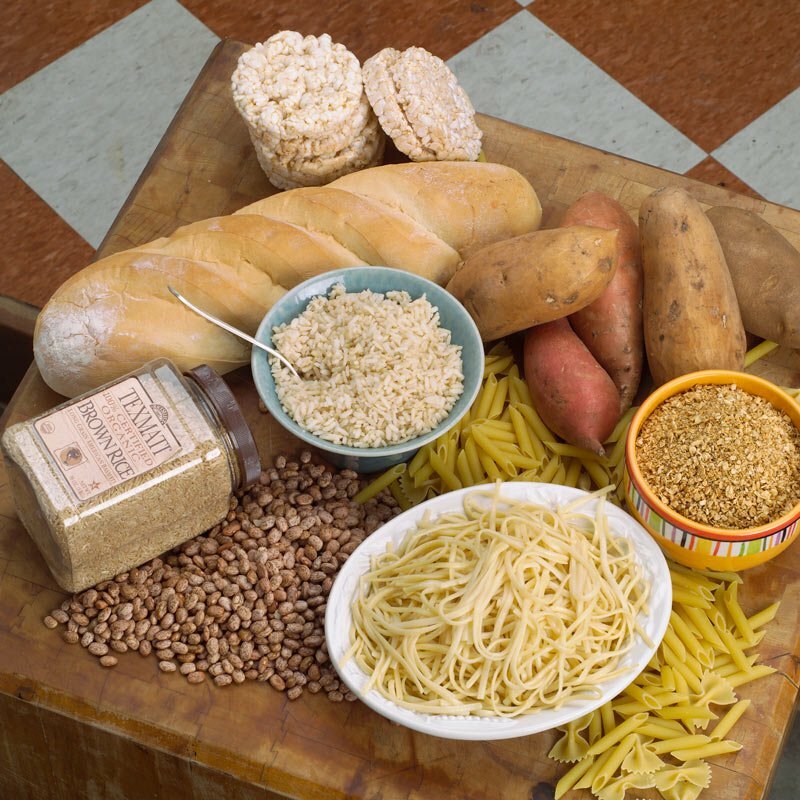 Starches are very high in carbohydrates. That's the reason we're so sick and obese; but she forgot to mention that, but she was well paid to say it! Of course, the myth that everything is based totally on calories for weight loss and weight gain is not going to go away because we cannot kill the goose that laid the golden egg. MD's especially keep pounding the calories to you. They do not want you to argue with them because they are right and everybody else is wrong. Vince once stated that when it comes to food, nutrition and exercise, MD's were the dumbest people that he ever met. He also said that stupid people don't listen! I wonder who he was talking about. Here is an example of something frightening. I just did a consultation with a young nurse named Michelle. She was completely terrified of the high calorie fat foods, so she had taken everything fat out of her diet and was a sick puppy. 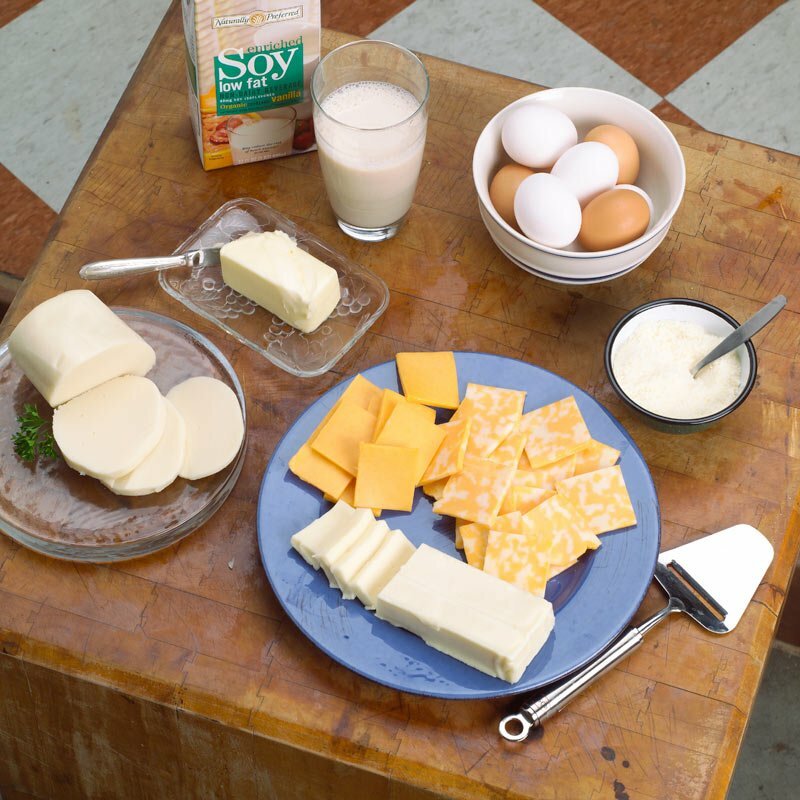 I spent three hours with her and I think she finally saw the light and she was going to start eating eggs, meat, fish, chicken, butter, flax oil and good fats and take the margarine out of her refrigerator. Again, this is what she was taught in nursing school. She was taught a flat out lie and it had been embedded so deep in her mind that she was scared of anything that had fat in it. I mean, she was literally terrified of it! Remember, all fats are high in calories, but as Mother Nature states, so what! My second example is of a fellow who called me a couple of weeks ago for a consultation. He was trying to gain size. He was reading these bodybuilding magazines and they were telling him that in order to gain size, you just have to consume more calories, so, that's what he was doing! As I said, he was just consuming high calorie foods and he was getting fat. I told him that in he had to get that myth out of his mind. As Vince said, protein builds muscle tissue and you cannot utilize protein without fat, so I hope he listened. He said that he now understood what Vince said and I were talking about, and I hope so. As I stated previously in this article, I am going to give you two valid reasons that I think will awaken you so you can see the light of this calorie myth. I think people, probably those over the age of 35, have heard of Ron Love. Ron was from Detroit and he was a very prominent bodybuilder in the 80's here in Michigan. He traveled the world and entered many, many major contests; including the Mr. Olympia. In 1987, I helped him with his training and diet. Ron went on to win either his third or fourth major contest. He took Junior America, hands down. 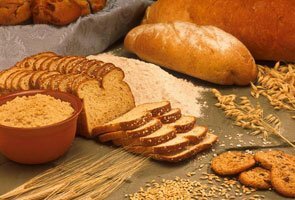 You have to remember that in the mid 80's and beyond, the myth of the complex carbohydrate era took over in bodybuilding and nutrition. Now, fats and proteins were out and people were eating complex carbohydrates, which was the magic name that the marketers put on it. 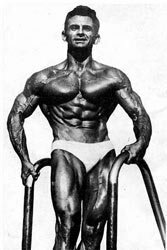 Era Took Over In Bodybuilding And Nutrition. Well, Ron embraced Vince; he thought Vince knew what he was talking about. 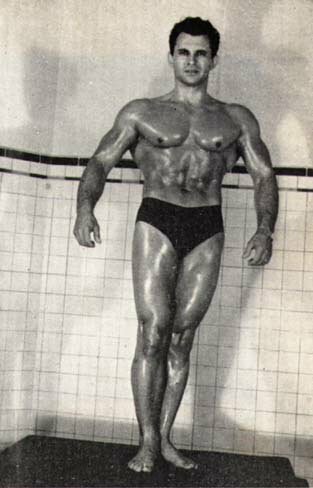 Therefore, Ron went on his meat and egg diet and his definition routine, and I was working on Vince's movements with him. After that, Ron won Junior America easily. In fact, he was so ripped that the contestants in the contest were calling him for weeks after asking him how he got so ripped. Ron told them he was consuming 8,500 calories of nothing but fats and proteins, exactly what Vince and I laid out for him. He was so shredded that when he walked out on stage, everyone had already deemed him to be the winner of the contest! But in retrospect people said oh no, that's not right, he's going to die of a heart attack, eating all that fat. You have to eat starches, complex carbohydrates, and of course, the Homer Simpson mentality took over... Starches are converted into sugar and the human body is not built on sugar, as the second most abundant substance in the body is protein, next to water. They didn't listen when Hippocrates said that the word protein means most important and carbohydrates are secondary. It took off and everybody embraced it because the media said this is the way it is now! Therefore, fats and proteins were now obsolete after 500,000 years. Ron was so elated that when I saw him a few weeks after the contest, he said, "You know I would kiss you, but you're a guy". He could not believe it and his peers wouldn't even believe it. You see how deep brain washing can penetrate a person's psyche and that's dangerous. Anyway, as I said, Ron was eating 8,500 calories, but what would he have looked like if he would have eaten 8,500 calories of sugar and carbohydrates and more sugar and carbohydrates? He would have looked like a fat slob. You get my point? Most people don't think, only intelligent people think and question everything. Homer Simpson never does and again, that is why Vince said you couldn't talk to stupid people, as they are not going to listen. Medical science tells us that (according to their calculations) every pound of weight on the human body, fat etc. contains 3,500 calories. So, again we are going to initiate this calorie theory. Then they say if you take so many calories out then you will lose weight. Now, they say that if you exercise then you will burn off more calories, so don't put as many calories in and exercise and you're going to burn more calories. Confusing, isn't it?! 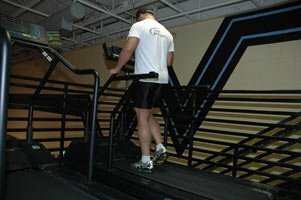 Okay, now people start to get on the treadmill and run for hours or they get on the street with their gym shoes on and they run for hours. You Will Burn Off More Calories. Forgetting about the pituitary, the hypothalamus, the thyroid, the adrenals, and your endocrines and throwing them out the window, now we come back to its calories. Let me give you the fallacy of all of these calories as equated to exercise. 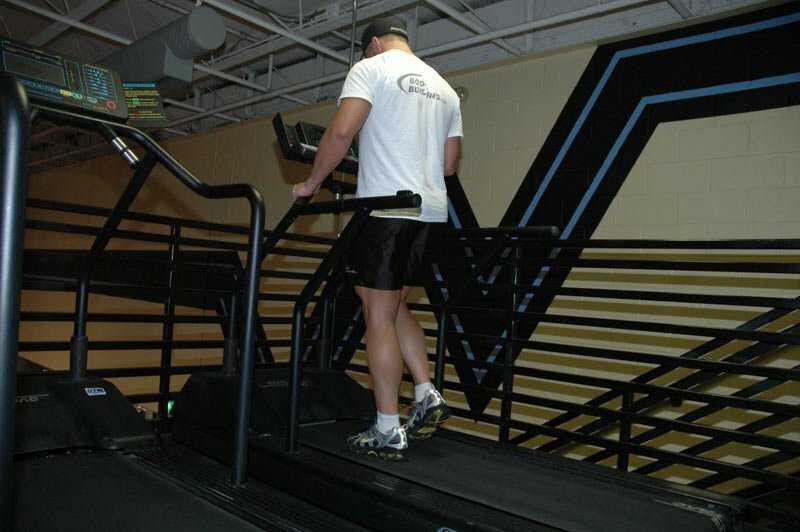 Do you know that one hour of extremely vigorous exercise, such as running as fast as you can, burns 750 calories? Did you know that?! That's the joke! Now, in order to burn one pound of fat, you would have to run as fast and as far as you can for about 4 or more hours. What human being in the world can do that? That's a nice way to kill yourself! However, they say that if you run for a half an hour that you will burn 1,750 calories. So, you're losing weight, right? Another joke; you've lost weight, see there it is, it's so simple isn't it, and it's so stupid. Because I have seen people that have exercised their brains out and never lost a single pound invoking the calorie theory. Nevertheless, the minute I straighten out their thyroid, pituitary, hypothalamus and their adrenals, cleanse their colon, and get them to eat fats and proteins and digest their food, all of a sudden, they lose weight. Like Rheo Blair and Vince Gironda used to say, they could put you to bed and give you the right nutrition and the right supplements and you would lose weight. So, exercise now, I just proved, is worthless in terms of losing body fat. Here is an example of Vince's theory on abdominal training. Let's say someone told you that to burn the fat off your waist, you had to do one thousand sit-ups, leg raises, twists, side bends, and crunches before bedtime and when you woke up, your waist was pencil thin. A lie, of course! However, your stomach is now sore as h#ll! What is sore, the muscle or the fat?! Got it! You can't exercise body fat, as it's the diet and endocrines as Vince stated. You're going to kill yourself plus when you are exercising to that degree, with that intensity, your hormone levels are going to drop big time! You Can't Exercise Body Fat. Just like a woman that came to my office that ran and ran and ran and ran and at 28 years old, her hormone levels were so depleted that she no longer had a menstrual cycle. Therefore, if you want to embrace the calorie theory, then that's up to you, but folks it's not going to work! Vince was right, the Masai were right, the America Plains Indians were right; everyone was right except for the calorie people. Again, it is not going to work. So, I hope I have enlightened you with that one and every time I tell that story, I end up laughing and people around me end up laughing. But as a guy in the 60's named Bob Dylan said, the times are changing. Now, I can see a little light at the end of the tunnel and I will tell you why. I mentioned that on T.V., Atkins was the best theory for losing weight and I'm running into more and more people who are taking a dim view of medical doctors and drug companies, seeing them for what their motives really are—profits, not the truth! God bless Kevin Trudeau because he is shaking people up. He's shaking them up to the degree that they want to put him in jail. Therefore, you see Vince Gironda was a voice in the wind but his voice and Kevin Trudeau's voice and the truth is starting to rise up from grass roots of informed and intelligent people. Vince Gironda Was A Voice In The Wind. People to a degree are finally starting to see the truth but that's why medical doctors, drug companies, and fast food companies advertise more and more and more and more. They want to get your mind off the truth. Even right now, the status quo you can see is being shattered, their talking about insulin resistance, their talking about low glycemic foods on T.V., magazines and newspapers. Folks, that makes reference to carbs (sugar)! You notice that medical doctors are NOT coming out saying its carbohydrates, but talking about insulin resistance, which is sugar not calories from fats! They are starting to realize that if you are a diabetic; to eat carbohydrates is like throwing gasoline on a fire. It's changing, but just to a degree. They are still trying to stamp our voices out, jut as certain people tried to muzzle Vince and call him a heretic and an idiot that didn't know what he was talking about. The truth frightens people when they hear it! Of course, the Bible says the truth will set you free. Drug companies and medical doctors are not going to cave into this. Because if they caved into all of their false rhetoric, they would look foolish and have to admit that they're wrong again! MD's and drug companies will never say that they are sorry or admit that they have been wrong! Therefore, at least there is a little light at the end of the tunnel. Maybe this is speculation, but at least people are talking about it. Well, I enjoyed doing this article because it makes life worth it. As always, like Vince, I feel I might be able to make a difference. I appreciate you reading and listening. And remember, don't let anyone do your thinking for you—think for yourself or you'll turn into my favorite person—Homer Simpson!